Its that time of year again! I thought I would re-share my secret to healthier & bigger seed starts!! 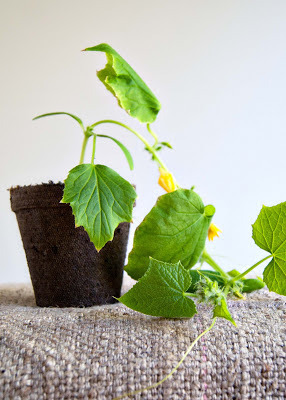 I halfway considered calling this post "what not to do with your seed starts"...but figured I've learned enough to share some tips with you! ...would you believe it if I told you these were planted on the exact same day!? We did all of our seed starts back in mid March using egg crates(...being thrifty and all!). As they grew we noticed when they got to a certain point they started to look a little sad. Well who wants sad plants?? Not me! Since we are no where near being able to plant outside yet (it can still drop below freezing here in N. Idaho), we bought some larger peat pots and transplanted them. We ran out of the larger pots before we could get all of them moved and as the weeks went on we noticed a HUGE difference in the plants. The ones that got moved are leaps and bounds bigger than the ones still in the egg crates. All the conditions have been exactly the same...same location, same soil, same watering schedule. It clearly is all about the size of the pot! Obvious I'm sure, but it really taught me a lot about how to properly work with my seed starts. 1. If you use a seed start tray(or egg crates) be prepared to transfer them at about 4 weeks. 2. Pick a south facing window to place your starts in front of. No need for fancy lights. 3. Make sure to thin seeds after first sprouts come up. You only want ONE plant in each seed cell. 4. Water from the bottom if possible, this way they only absorb the water they need. 5. 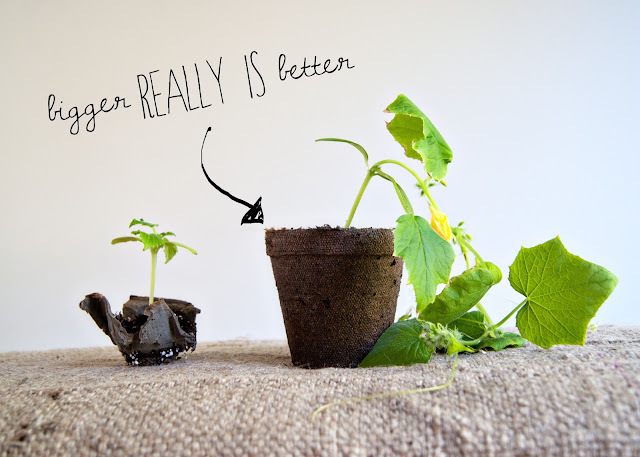 Start bigger- to save a step, just start your seeds in bigger pots to begin with. It will also give you a better idea of how much room you need for your desired amount of plants. 6. If you need more space, consider a green house. Right now our indoor plant location is over run with plants and we still have more than half to transfer to bigger pots. I hope to get our green house up this weekend! Gosh, the difference is so big! I started some seeds in an egg carton a few months ago, and they dried out so fast that I only ended up planting a few in the garden...and they all died. I'll have to give it another go soon. Thanks for the handy tip! Wow, great to know!! 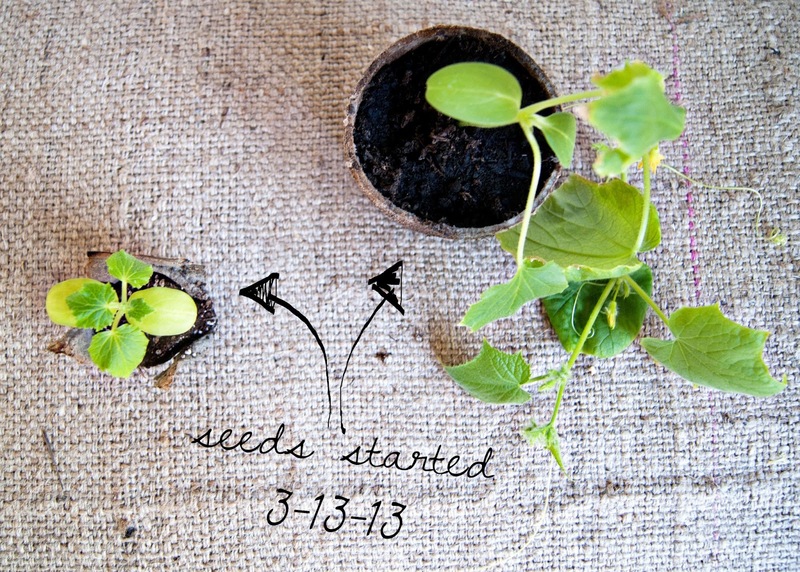 Thanks for sharing on Project Inspired :) Pinning! Hey Amber. Stopped by from the Idaho Bloggers Guild and noticed this fun post. That's so good to see! I didn't realize it made such a difference. 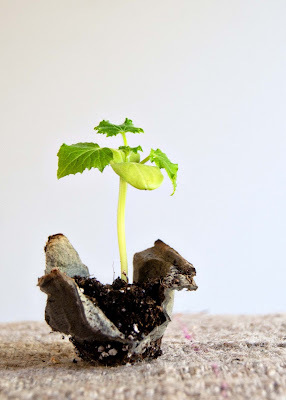 I just made a post about making your own pots (http://www.our-everyday-art.com/2013/05/make-your-own-paper-pots-for-starting.html)you might be interested in.